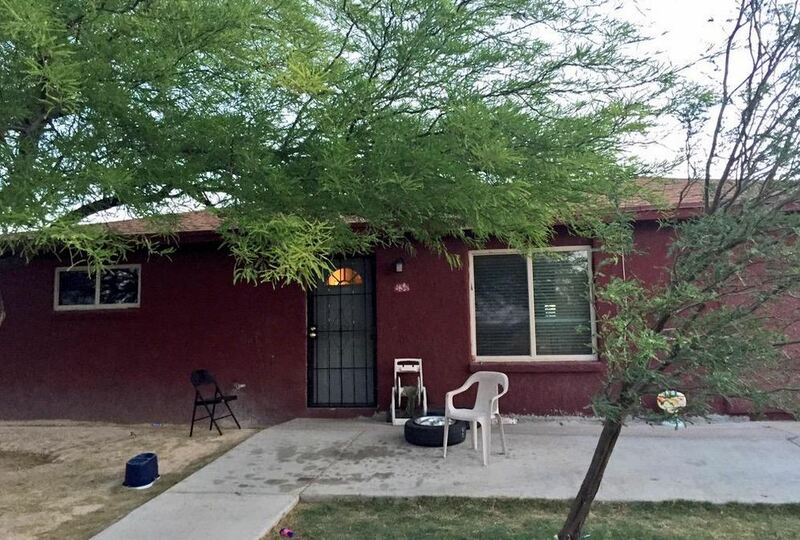 TUCSON, Ariz. -- Police suspect the shooting deaths of five people discovered in a southern Arizona home may be a murder-suicide. Officers responded to a call from a man who went to the single-story house in Tucson and found the bodies about 6 p.m. Tuesday, police Sgt. Pete Dugan said. Details are sparse, but all of the dead had "obvious signs of gunshot trauma," Dugan said. "They are trying to figure what took place. Right now, it appears it was a murder-suicide, but it (the investigation) is in its initial stages," he said. Police got word of the bloodshed from a man who went to the house to meet someone, "peeked inside and noticed one individual who appeared to be deceased with multiple gunshot wounds," Dugan said. Investigators did not release any other information, including names or ages. Police Chief Roberto Villasenor told the Arizona Daily Star that all five appeared to have been shot sometime Tuesday, and it didn't appear that any of them were young children. He said the bodies were found in different areas of the house. The victims' names and ages have not been released. Villasenor said officers have been called to the home before, but details weren't immediately available, reports CBS affiliate KOLD.